I am forever indebted to Mario Figueroa and Letícia Tamisari (http://www.figueroa.arq.br/) for their kindness, hospitality and wealth of information and to Ciro Miguel (http://miniatura.cc) for his spontaneity and knowledge about the city's culture and architecture. Thank you to all of you! 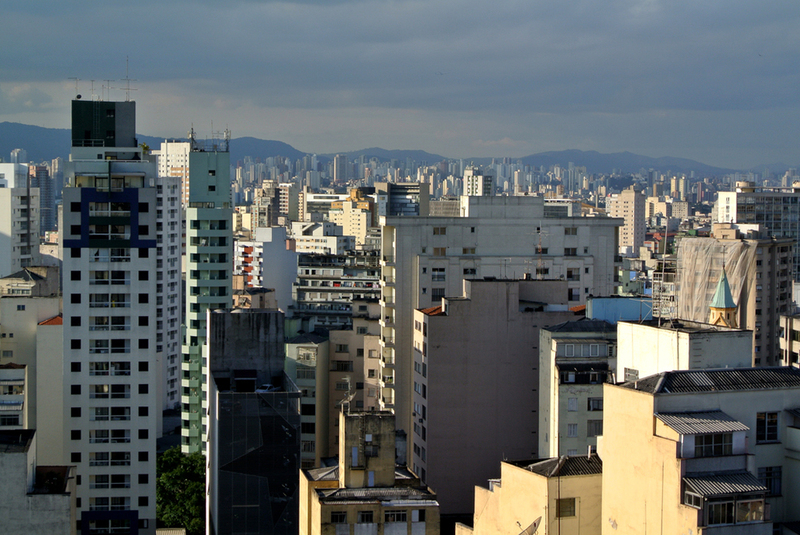 Back in Sao Paulo for a few more days. Edificio Louveira by João Batista Vilanova Artigas from 1940s was perhaps my favorite (images below). The facade of each of the two blocks was broken up into three sections with distinct colorful shutters. This was one of the few buildings where the original idea of a continuous ground was still preserved, unlike in most of the surrounding structures which were fenced up along the entire perimeter and 'adorned' with cameras and elaborate entry-gate systems. The apartments of Louveira were raised from the ground by slender pilotis, with the street continuing seamlessly underneath and merging with the surrounding garden. An elaborate processional entrance in one of the apartment buildings (notice the fence at the end of it, destroying the modernist idea of ground continuity). Copacabana's hotels in the foreground with favelas disappearing into the background. My utmost gratitude goes to Luciana da Silva Andrade, an associate professor at FAU-UFRJ, for introducing me to Rio's culture, cuisine, and for making the impossible possible. Her knowledge about favelas was indispensable and without her, I would've hardly visited half the places I did during my stay. 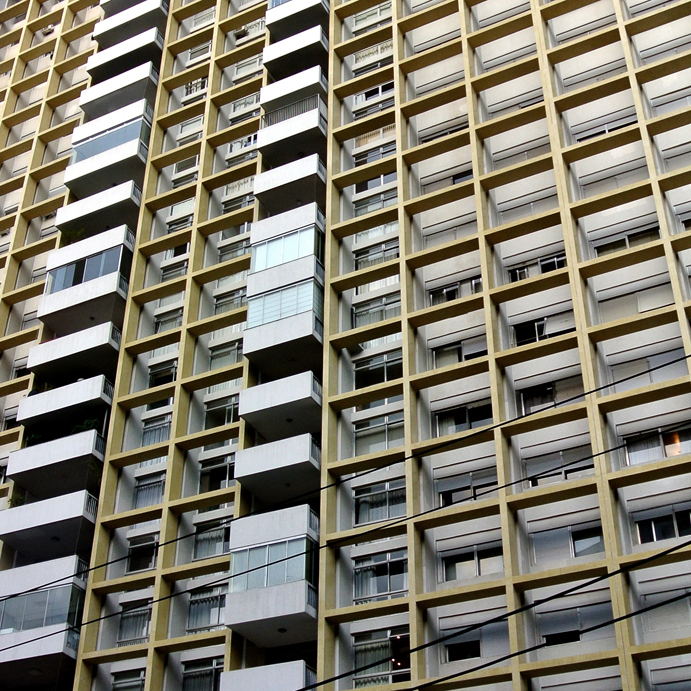 First, I briefly visited Lagoa, one of the most expensive residential neighborhoods in the city (if not all of Brazil). With picturesque views of the lagoon, imposing hills, residential towers with large balconies, and streets lined with cafes and fresh produce markets, the area seemed idyllic. Afterwards, I visited two favelas relatively close to the city center. First stop was at Morro da Providencia, the oldest favela in Rio (appearing in the city around 1898) and one that coined the term 'favela'. At the beginning of the twentieth century, it was considered one of the most dangerous places in Rio, and although this favela was recently 'pacified' by the police, I certainly felt a little uneasy when walking around. The second stop was at Morro Dona Marta. Since this was the first favela where the pacifying police unit was deployed (in 2008), the favela was a perfectly safe place for an outside visitor such as myself. In fact, with bright colors, picturesque views, and a handy cable car running up and down the steep hill, it looked more like a tourist attraction than a 'typical' slum. Now, I'm not going to go into the problematic issues of Rio's favelas (poor sanitation, crime, segregation... there are so many). But seeing this informal urban morphology first hand certainly brought many things into perspective and made me question my own beliefs and preconceptions. 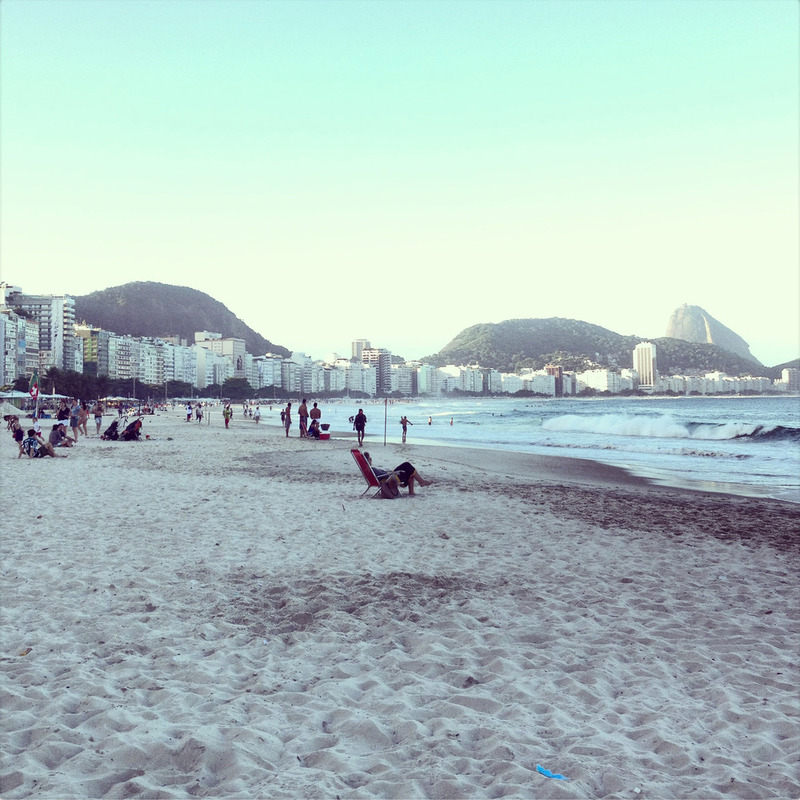 There is nothing that can prepare one for the striking one-of-a-kind landscape of Rio... 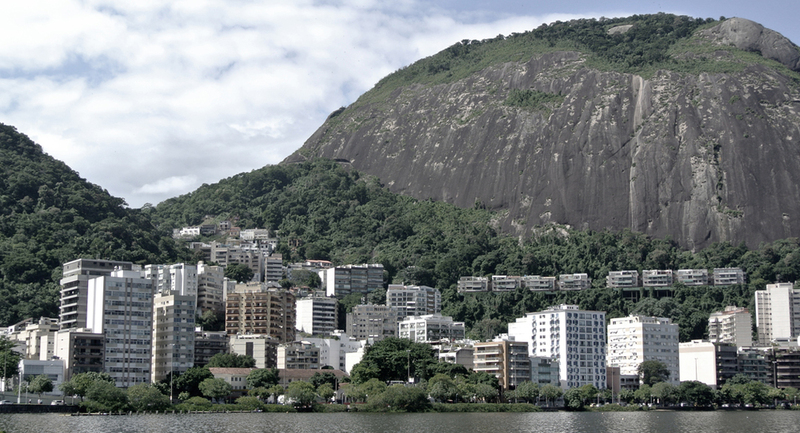 The strangely shaped mountains abruptly rise from the ground, giving the city its identifiable image and morphology. One thing that immediately stood out while walking along the two most famous beaches of Rio (and I noticed in Sao Paulo as well, but haven't had a chance to talk about yet), is the presence of fences. Many of the beautiful modernist buildings that were originally supposed to be open to the street are now barricaded behind giant fences with security cameras and guards watching your every move. First, huge THANKS goes to Mario Figueroa for putting me in touch with Fabiano Sobreira (an architect at the Brazilian Parliament, where he is the head of the Section for Accessibility and Sustainable Design). And even bigger THANK YOU goes to Fabiano himself, for the personal walking tour right on my first day - an amazing introduction to Brasilia and its young history. 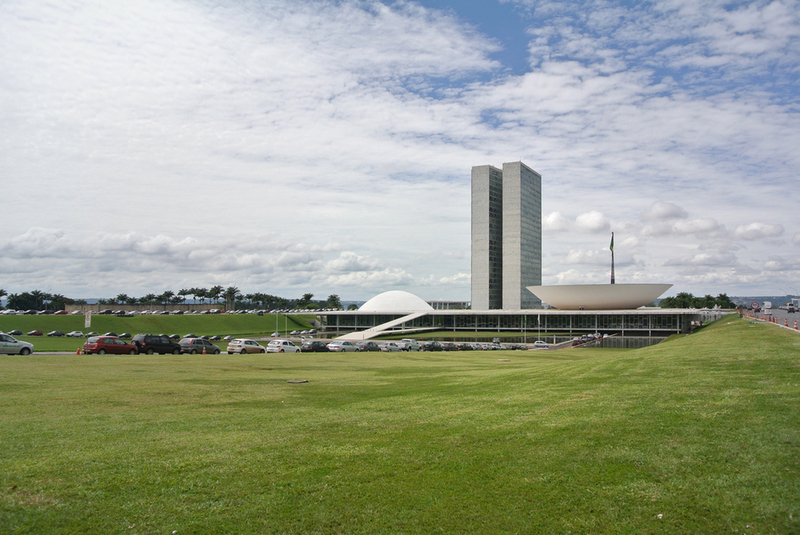 I must admit, Brasilia belied all my expectations and preconceptions I previously had about the city. Unlike most visitors, I started with the residential sector - the first one executed according to Lucio Costa’s plan. And what a surprise it was to see the quadrants full of greenery, openness, yet at the same time, possessing a sense of intimacy, with people walking around and children playing. The six story horizontal slab buildings were not overpowering, quite the contrary, they nicely fitted into the overall organization of each quadrant. They were just the right scale and proportion to keep the area within each quad very 'human-scale.' And even though they were planned according to one of the purest modernist principles, the residential quads destroyed any doubt I previously had about the success of this urban proposal. I couldn't believe how pleasant the environment was! The urban planning, the landscape, and the architecture all worked in harmony with each other. I do not recall any other city where I've seen it done so successfully. Now, I understand that only around ten percent of the entire population of Brasilia live like this today. 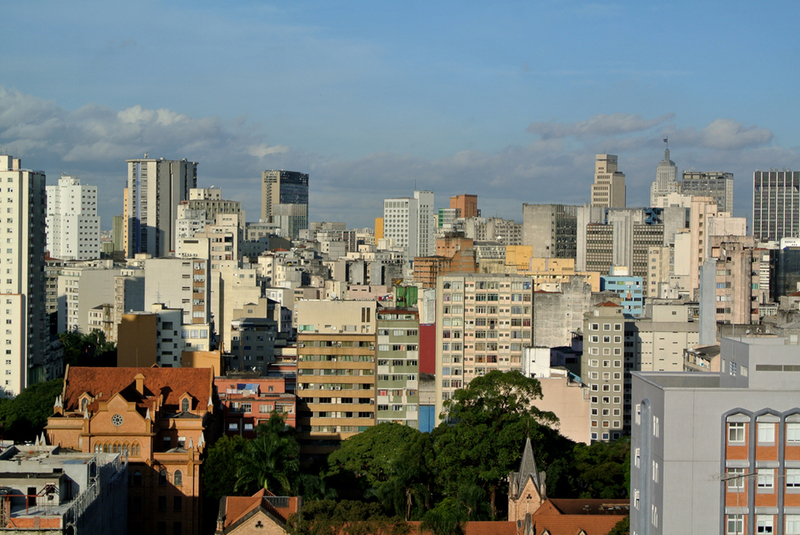 With the rapid population growth, Brasilia outgrown itself even before the plan was fully executed (although there is still one of the residential quadrants undeveloped!). This is typically one of the major issues of utopian urban plans (Le Corbusier's Chandigarh comes to mind), where the city is planned for a specific amount of people, not anticipating future growth and changes. Fabiano told me that the apartments in the originally planned residential quads have become one of the most expensive residential properties in the entire city, so only the very rich can afford to live this perfectly planned lifestyle. Yet I couldn't stop myself from thinking that these modernist slabs, with their spacious apartments, raised on perfectly proportioned pillotis, surrounded by beautifully kept parks, and supported by community facilities (church, school, grocery store, etc), seem to be one of the most ideal housing developments I've seen. I do wonder what the urban density of these residential quadrants is, and whether they would work on a larger scale (could a whole city be constructed using the residential quadrant of Brasilia as a building-unit?). But there is still the question of future growth, of adaptation... That's what makes cities such as Tokyo successful, the continuous reconstruction and adaptability of urban fabric. 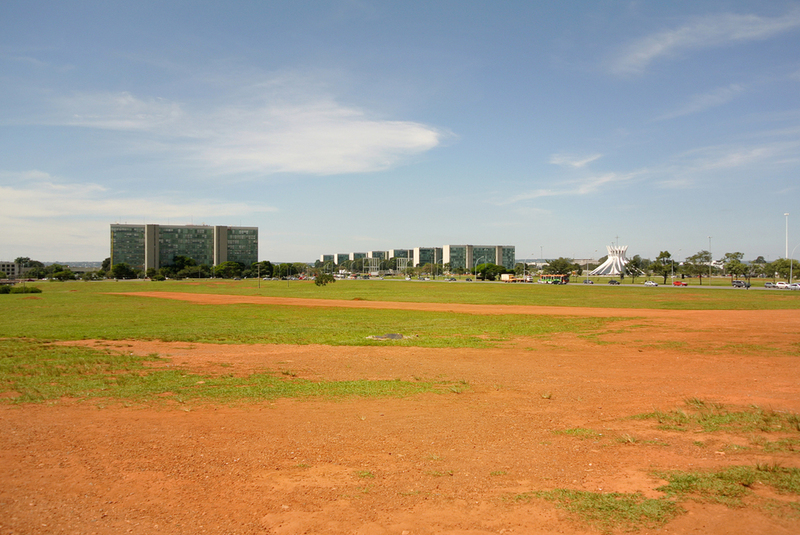 Although I only experienced Brasilia as a short time visitor, it was evident that the lack of programmatic mixing is a problem for the current residents of the city. But I could imagine densifying the existing central axis and the areas around it by occupying the underutilized spaces with new program. In Tokyo and Hong Kong, spaces we typically think of as unusable (under bridges or overpasses, for example) had secondary programs built into them (such as restaurants and shops). The sectional layering of seemingly unrelated programs was fascinating. 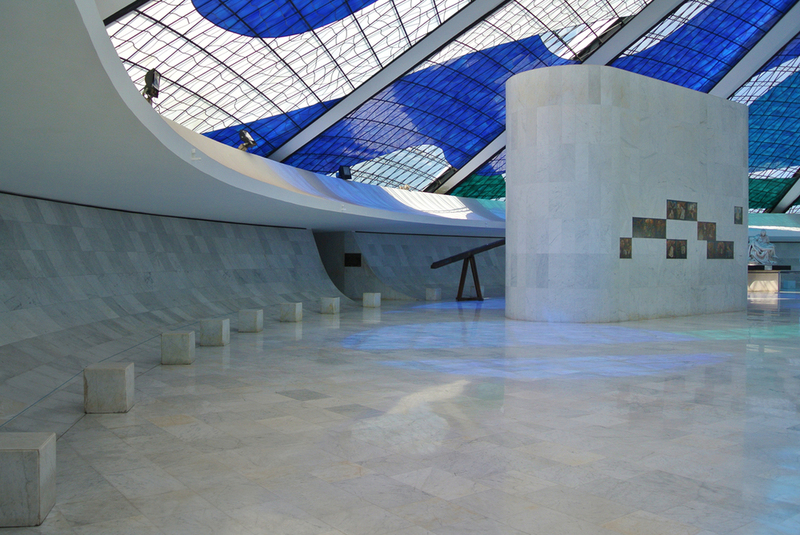 For example, how empty Brasilia's metro stations seemed in comparison to the almost delirious stations of Asian cities! 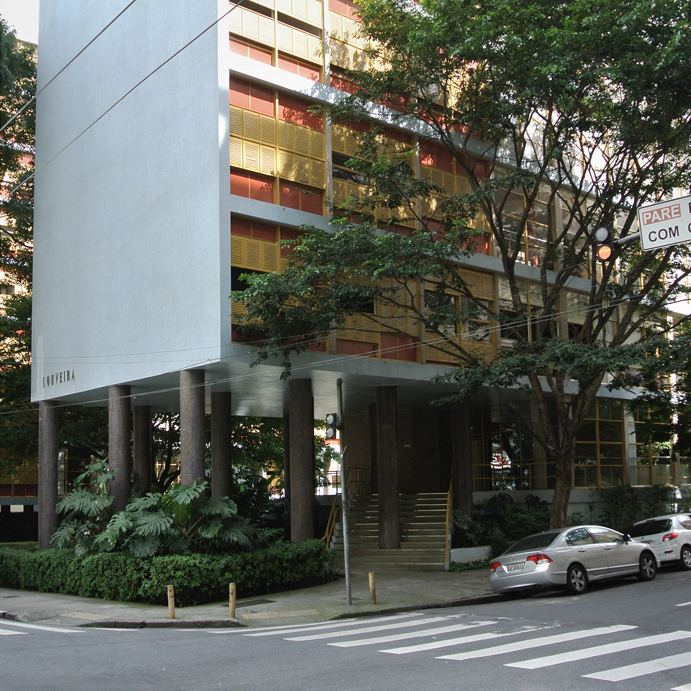 But this kind of densification strategy could be one option of how to bring some of the vital programs, such as foods, shops, pharmacies, etc into otherwise 'prohibited' zones without compromising the urban and architectural qualities of the original design of Brasilia. But it wasn't until I took the metro back to the central bus station, when I really started to understand the main problem of Brasilia. 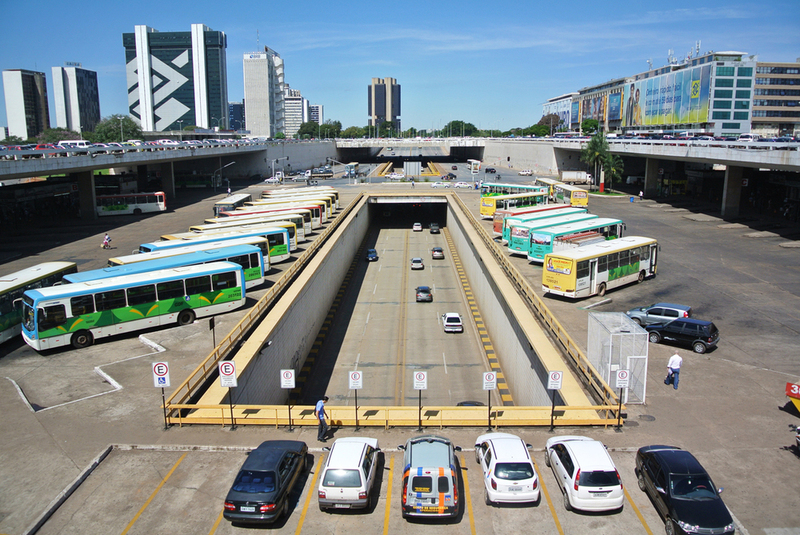 It was somewhat ironic that Brasilia, a city that was built on the modern principles of mobility, with automobile infrastructure as its priority, would suffer from insufficient transportation network and 'bad' connectivity. From what I understand, the metro is very new, and completely insufficient, buses never really follow a timetable, not to mention a specific route, so for a lot of people car is the only option. But I must admit, the few times I took a taxi, I was struck how difficult it was to get from point A to point B. And even though I was there only a few days, I've started to believe that Brasilia is experienced so much better on foot than from a car! What the city needs is a much better public transportation system - metro & buses - and not rely so much on the automobile. But this is not just Brasilia, all the cities I visited in China, India, or South America, (cities that have experienced incredible growth over very short period of time) are dealing with insufficient public transportation networks. This takes money, governmental support, public awareness, and last but not least, time. And Brasilia is so young! Perhaps it just needs time to fully mature. I want to write just a few more things about the monumental axis and its monuments. A lot has been said about it in the past, how enormous it is, how inhuman it is, only for cars and monumental buildings, etc. But again, I did not feel it was overwhelmingly large and vast at all. Sure, the central space was expansive, but the buildings flanking it on each side somehow completed it. I cannot imagine it any other way. The walk was actually very pleasant, contemplative, almost surreal. I assume I would not be saying this if I visited it in the middle of Brasilia’s summer, when everything is scorching hot and dry, with no shade around. But there was a raw poetic beauty that permeated the place. It was unique, in fact, it differed from all the city 'centers' I've visited before. Even though there are some similarities between Brasilia's monumental axis and the 'mall' in Washington DC, I think it's the positioning of individual buildings in relation to each other, and the architecture of Niemeyer that elevates the entire urban plan into a work of art. Oscar’s cathedral was so striking! When viewed from the outside, it looked opaque, metal-like, but after entering through the dark underground tunnel, one emerged in a beautifully bright space full of reflections and shimmering hues of blues, light filtering through the intricate ceiling lattice above. Or the ministry of external relations - stunning! My experience of walking through Brasilia's central axis could be compared to a stroll through an enormous urban gallery of unique architectural objects. Alright, somewhat a romantic ending, but nevertheless ending.